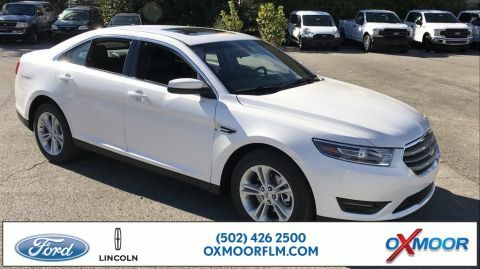 If you’re looking for a stunning new Ford Taurus at a great price, Oxmoor Ford in Louisville, Kentucky has exactly what you’re looking for. We have a huge Ford Taurus inventory with the features and options you’ve been searching for in a new Ford sedan. We also offer plenty of new Ford Taurus specials, so you can save money on your next full-sized sedan. So, what are you waiting for? Contact us right away for more information on any of the new Ford models you see below, or swing by our Louisville, KY Ford dealership for an eye-opening test drive you’ll never forget. Finding the perfect new Ford car, truck, or SUV is easy when you shop online with Oxmoor Ford. Utilize our exclusive research tools to learn about our popular Ford sedans and hatchbacks as well as our best-selling Ford F-150 trucks. Then check out our new vehicle specials for even more exciting discounts, and be sure to get an estimate on any trade-in vehicle you may have. Visit our Ford dealership near Elizabethtown, KY, and Jeffersonville, IN today! After you’ve taken a look at our incredible new Ford and used vehicle inventory, we realize you may have questions about financing and affordability. That’s why the friendly finance pros at our Louisville, KY auto finance center are standing by to help you today. Call us now or fill out our secure online auto finance application to get pre-approved for Ford financing in the next few minutes.